View More In Pick Guards. One of the easiest ways to change the look of your Fender instrument is to replace the pickguard. 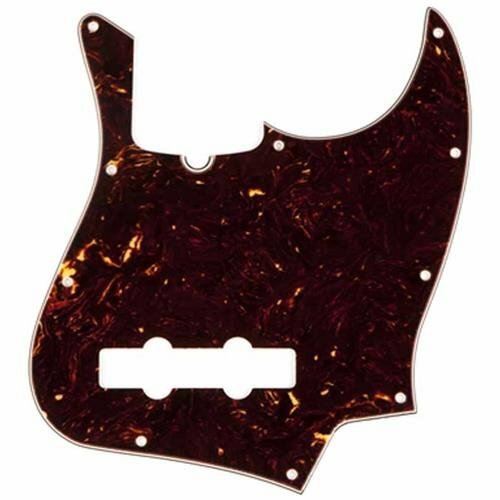 This pickguard fits American, American Standard, American Vintage, Standard and Deluxe series Jazz Bass models (does not fit five-string models). Authentic Fender Pickguard to ensure compatability. Constructed of premium celluloid material. Double check your screw-hole pattern to ensure you chose the right model. Same pickguards as used on actual production models. Peace of mind thanks to a 1 year Limited Warranty.